Ever since MAC’s senior make up artist Keri Blair created three velvet manicure looks for the Ruffian runway show the velvet trend caught on creating a buzz amongst the beauty industry. Dominating the catwalks for Fall/Winter 2012 collections, the look was favoured by the likes of McQueen and Gucci. So who better to snap up this idea and bring it to the high street than Ciaté, the brand that pioneered the popular Caviar Manicure. Ciaté’s velvet manicure kit comes equipt with polish, crushed velvet powder and a dusting brush. The look leaves nails with a luxurious matte effect. 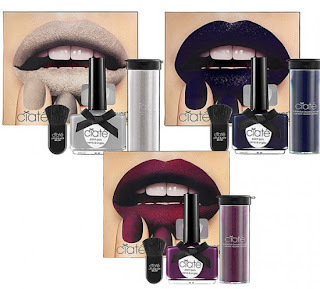 Ciaté will be launching three shades, Berry Poncho (plum), Blue Suede (navy), and Mink Cashmere (grey) that will be hitting stores this August. What do you guys think? Is velvet nails a trend you’re eager to try?